Brad Ravencraft was born on October 9, 1964, in McComb, Mississippi. He enlisted in the Mississippi Army National Guard on September 30, 1981, and was trained as an Indirect Fire Infantryman (11C). 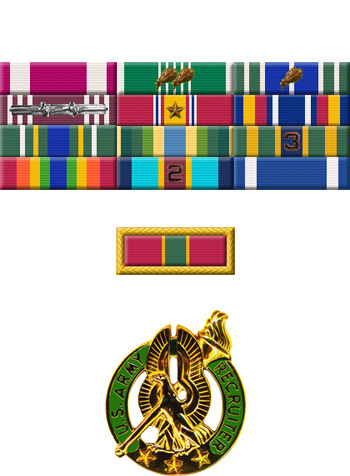 Ravencraft went on active duty with the U.S. Army on February 24, 1984, and served briefly in the U.S. Army Reserve between February and May 1987. SP4 Ravencraft went back on active duty on May 14, 1987, and served with the 3rd Battalion of the 6th Infantry at Fort Polk, Louisiana, from May 1987 to March 1990. 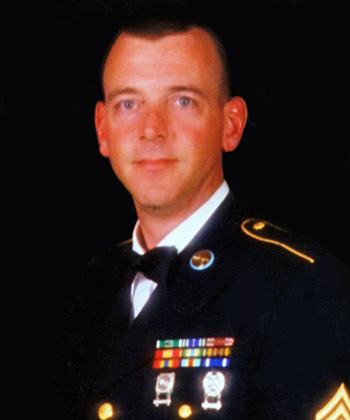 He then cross-trained as an Army Recruiter, where he served in Monkato, Minnesota, from April 1990 to March 1993, followed by duty as an Indirect Fire Infantryman at Fort Carson, Colorado, from May 1993 to July 1995. Sgt Ravencraft served with the 2nd Infantry Division in South Korea at Camp Casey from June 1995 to July 1996, and then after additional training he transferred to Fort Polk, where he served from October 1996 to August 1999. He then served as a Training Instructor at Fort Benning, Georgia, from September 1999 to June 2002. SFC Ravencraft's final assignment was as an Army Recruiter at the recruiting station in Gulfport, Mississippi, where he served from June 2002 until his retirement from the Army on February 29, 2004. Brad and his wife Wendy still live in Gulfport. For Exceptionally Meritorious Service while serving in various positions of increasing responsibility, culminating as a recruiter for the Gulfport Recruiting Station. Your intense dedication to duty and uncompromising standards of conduct represents the spirit of a model career soldier who served with pride. Your performance reflects great credit upon you, the United States Army Recruiting Command, and the United States Army.